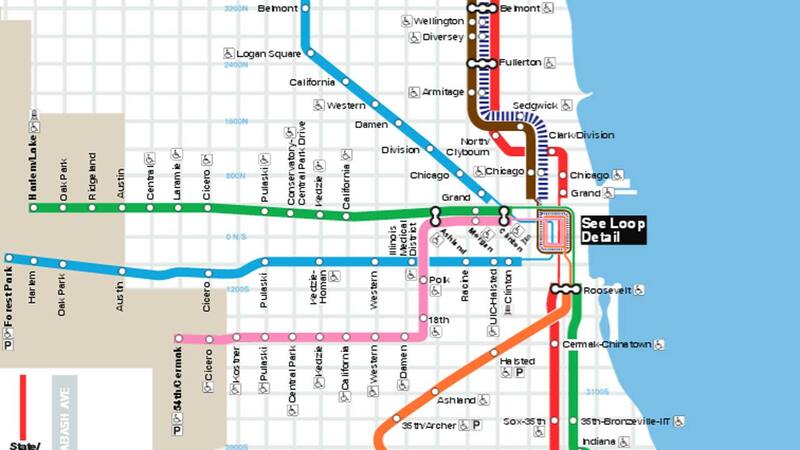 CTA train map showing Red, Blue, Green, Brown, Pink, Orange lines. CHICAGO (WLS) -- CTA Blue Line service in both directions at Jefferson Park has resumed after a van flipped onto the tracks from the Kennedy Expressway, officials said. The crash occurred just before 7 a.m. Sunday, police said. No one was injured. Power in both directions on the Blue Line was shut off as crews investigated property damage, officials said, but service has since been restored. Lanes on I-90 have been cleared.